911uk.com - Porsche Forum : View topic - How I regret sellIng !!!! 911uk.com Forum Index > 996 (1997 - 2005) > How I regret sellIng !!!! Posted: Mon May 07, 2018 4:01 pm Post subject: How I regret sellIng !!!! Ok so just under a year ago I sold my 1999 C4 - what a mistake that was because every other day, without fail I'd find myself logging on to here reading about what everyone else had bought and done, pit falls and problems they had encountered..... I'd also log on to the autotrader and watch the prices looking for a bargain . To be fare I knew I'd be driving everyday so the C4 wasn't practical so I got myself into a Audi A5 coupe black edition.......... Good car but as boring as hell!, so now I'm back and eager to get myself into another 911!. I'm thinking still about a C4S around the 22k mark?, I know this may get me a high miler but I'm thinking that the right one would have had some engine work done and so this would save me some grief ?............there are a few around, even seen one for just under 17k but had 220k on the clock with a load of invoices.Having a look at 997 3.6, there's a few around the 25k mark,again they have a few miles on the clock but looked after and in recent years have had the engine rebuilds. So what do you all think? 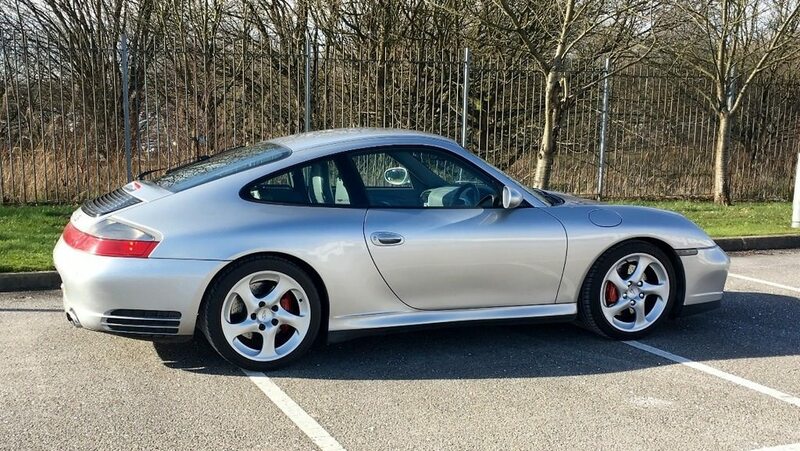 Would it bother you to get a 997 that's had its engine rebuilt in the last 8/10 years........ Having dipped my toe with the C4 I found this forum and advice second to none ! Any views appreciated, prob looking at getting into another 911 in the next few months. Ive been helping another user looking for the same vehicle .. there is a few around that look ok but obviously a PPI would be needed . He also mentioned a 997 .. my advise to him was the 996 C4S has a real look to it , a presence .. it stands out . A 997 for that budget is not going to get you the same amount of car and buying anything at the top end of your budget is iffy at best. There will always be something that needs doing so a small cash float is a good idea. Thats my 2 pennys anyway but i do look at it from a different perspective to be honest . I recently bought end of last year and was also considering a 997, but the presence of the 996 sold it for me. Firstly you're right to get back into one. Driving one everyday is a treat. That's what they're for.. 911's are everyday cars. 996, absolutely echo toddy2.. you'll get a whole lot more of the best instead of the rougher end of 997. I bought a C4s last summer private for around your budget. It had a great history and only 2 previous owners. I've already put on 7000 miles, it's a brilliant daily. If you find an immaculate car with IMS and full maintenance then mileage isn't so important as you'll be racking in the miles like me.. I'm not bothered about future value. At low 20s it should have most things sorted apart from maybe the suspension and exhaust..
Presume you've seen this? Nice to buy off an enthusiast who like me only uses 99 Super, warms up properly and keeps the services up to date.. can't see too much wrong with this car at £23k.. maybe a deal to a fellow forum user!! Absolutely this!! Well trodden path.. test drove an immaculate 54 plate with Hartech engine rebuild 997 Carrera S from Northway.. lovely car but then drove a C4 s and it's presence and character was more special... more 911 for me. 996 is just more traditional and direct than a 997 which is also brilliant. If I was looking for a 997 it would be 997.2 GTS. The 996 C4s is like that in terms of its desirability, the overall stance and spec is perfect. Do it!! I bought a 911 996 C4S about 3 years ago and that was a choice between that or a 54 plate 997. As others have said the C4S seemed the better option and IMO drive and style. It's due in at Jasmine today for a clutch, an exhaust system, major service, new rear rubber and rear brake discs and pads along with a few other bits I'm sure. Next on the list in the near future will be a suspension upgrade and then a bit or arch paintwork. I went through the same dilemma last year - top end 996 or bottom end 997 for a very similar budget. In the end went for a 996 C4S, high miles (ish) but with ALL the work done and clean bill of health from the specialist we bought it from. Good luck, and dont sell this one ! Does it have to be a C4S? You can get top C2s and C4s for even less, usually. Gives you a slush-fund (and they are much, much lighter......).